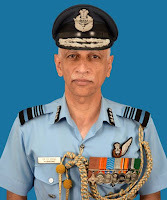 Air Marshal Hemant Narayan Bhagwat AVSM VM has taken over as Air Officer-in-Charge Administration of Indian Air Force at Air Headquarters (VB), New Delhi on 01 Aug 2017. 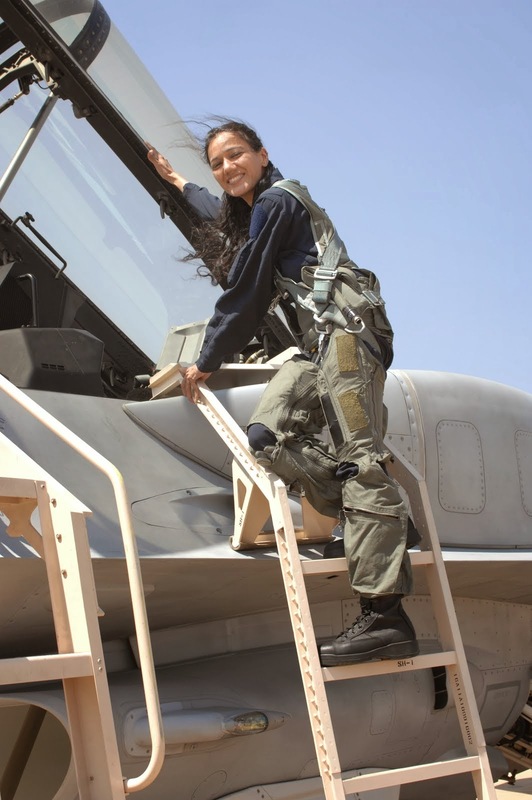 After serving for seven years as an Air Traffic control Officer in three different operational bases of the IAF, the Air Officer qualified as Parachute Jump Instructor and served in instructional capacity for fifteen years. During his paratrooping career, the officer has undertaken over 2400 live parachute jumps in combat as well as sport profile from twenty different types of aircraft. He has also served as Chief Instructor of Paratroopers’ Training School, Agra for five years and was leader of prestigious IAF Skydiving Team, Akashganga for several years. 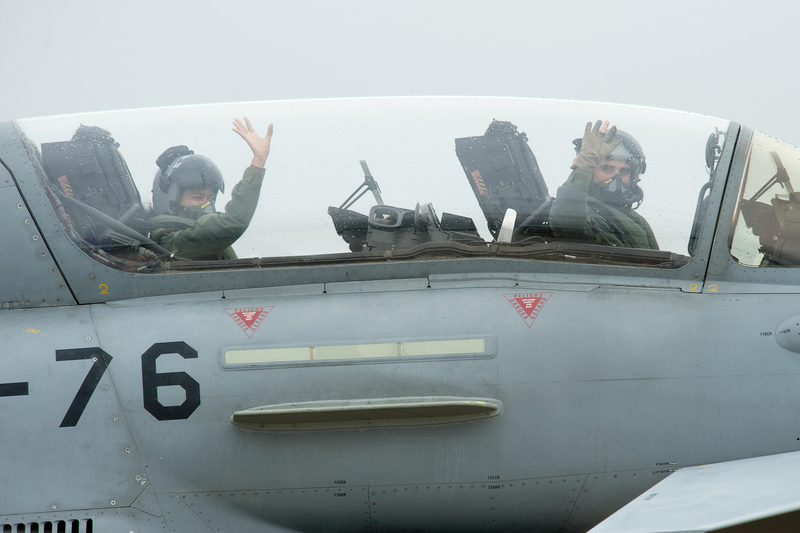 Besides para jumps in all parts of our country, the officer has also participated in several international para exercises including in USA, South Africa, Sri Lanka and Seychelles. The officer is senior most active parachute jump instructor of the IAF. 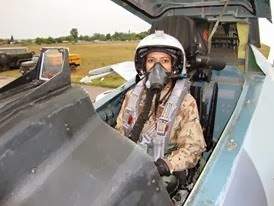 The Air Officer is a graduate of Defence Services Staff College, Wellington and has undergone Higher Air Command Course at College of Air Warfare, Hyderabad and Senior Defence Management Course at College of Defence Management, Secunderabad. The officer has completed his M Sc in Strategic Studies from Madras University & M Phil from Osmania University. 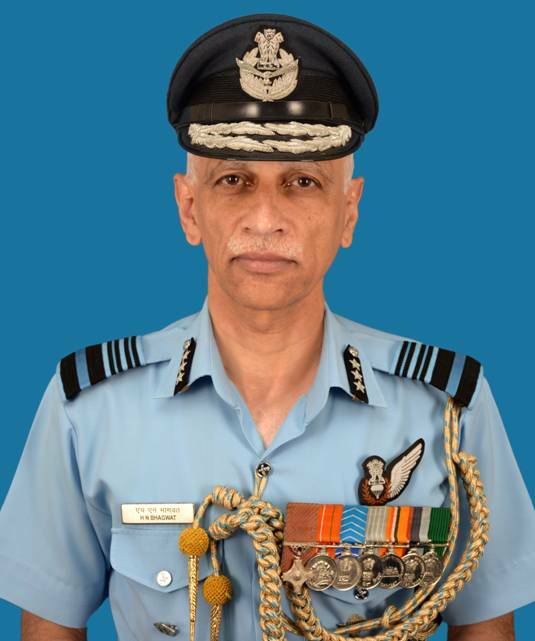 The Air Officer has held several prestigious appointments including that of a Chief Admin Officer of a premier fighter base, Commandant of Garud Regimental Training Centre, as Chief Personnel Staff Officer at HQ South Western Air Command, Senior Officer in charge Administration at HQ Western Air Command and Asst Chief of the Air Staff (Org & Cer) at Air HQ. Prior to assuming the appointment of AOA, Air Mshl HN Bhagwat was Director General (Works & Ceremonials) at Air HQ. 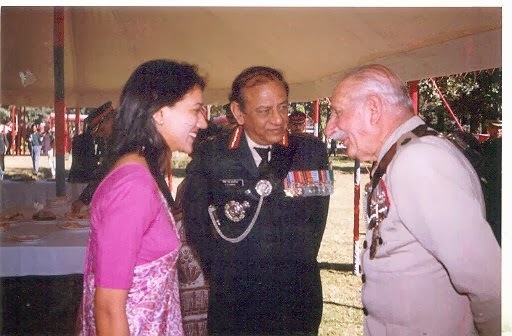 The Air Officer was commended by Chief of Air Staff in 1999 and was awarded Vayu Sena Medal by the President of India in 2005 for his contributions to paratrooping field. He has been awarded the Ati Vishist Seva Medal by President of India for distinguished service of a very high order. 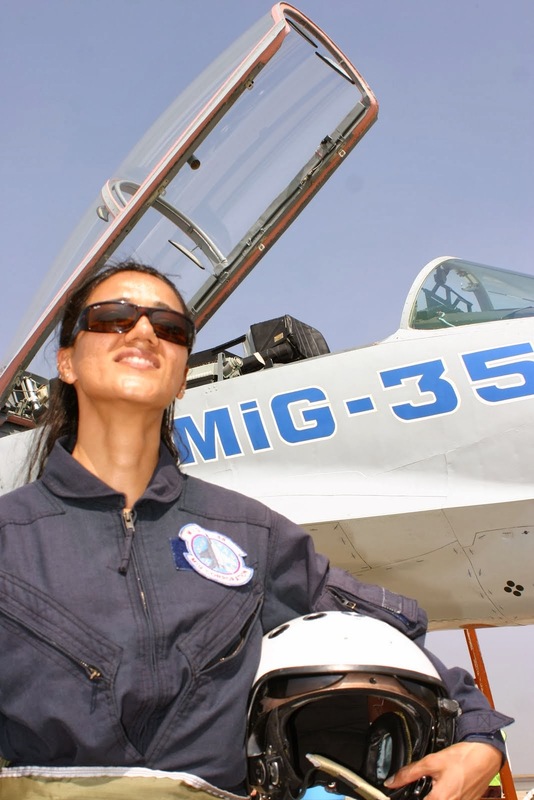 He is married to Mrs Shubhada Bhagwat and is blessed with a son named Tejas. He is an active sportsman and keen marathon runner. Gen Bipin Rawat is on a six day visit to Kazakhstan and Turkmenistan. He met Commander-in-Chief Land Forces of Kazakhstan today and discussed with him various aspects of cooperation among the two armies. Both sides mutually agreed to take forward the joint exercise which is to be held at Bakloh, Himmachal Pradesh this year in Nov 2017. Gen Rawat conveyed Indian support for deployment of Kazakhstan in UN peacekeeping operations. 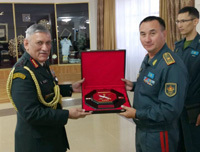 Kazakhstan further sought assistance for capacity enhancement in the areas of counter insurgency operations, military education and training of cadets in India. COAS assured them of whole hearted support. He complimented the Kazakh Army for their professionalism as witnessed during the demonstration while visiting the 36 Air Assault Brigade. Gen Rawat will leave for Turkmenistan tomorrow. 255 Sorties were flown by Indian Air Force during HADR Operation in Gujarat and Rajasthan. The States of Gujarat and Rajasthan had experienced heavy rains and floods in past few days. Considering the gravity of situation, the State Emergency Operation Cell requested Indian Air Force for rescue operations in flood affected areas of Mehasana, Deesa, Banaskantha and Patan. Accordingly, the IAF team swung into action and deployed Mi-17V5 and Chetak helicopters at various location of the State for rescue and relief operations. A dedicated Humanitarian Assistance and Disaster Relief (HADR) Cell was activated at South Western Air Command, Gandhinagar to monitor the relief operations round the clock. Under the challenging weather conditions, with limited ground reference, these helicopters carried out rescue operations to save stranded people. The rescue operation included a patient in dire need of dialysis who was airlifted from the rooftop in the shortest possible time, along with a pregnant woman with small child and husband. Indian Air Force conducted a Band Concert at Forum Sujana Mall in Hyderabad to commemorate Independence Day. The concert was organised under the aegis of Air Force Station Begumpet with the co-operation by Department of Tourism, Govt. of Telangana. The No 3 Air Force Band, who performed the concert, is housed at Air Force Academy, Dundigal since 1971. It has 22 musicians who play brass, wood-wind, reed string, electronic and percussion instruments. The objective of AF Band is to interact with the people and create awareness about the IAF, through the sound of music. The AF Band symbolizes teamwork, harmony, ethos and dedication of an air warrior to his profession. Air Warrior Musicians of No. 3 Air Force Band have performed across the world in countries like United Kingdom, France, Italy, Germany, Malaysia, Singapore, Thailand, Sri-Lanka and Bangladesh. They have also participated in International Military Music Festival in Finland, France, Italy and recently at Malaysia. The IAF Band, with its scintillating performance has enchanted the audience at home and abroad. The band is equally capable of playing the military music and also the patriotic and popular tunes of Hindi songs. Music has been soul-stirring accompaniment to men in arms, acting as a means of exciting passion for advancing soldiers. Military bands enliven the spirit, strengthen the mood and help in promoting pride and camaraderie. The Indian Air Force has a strong tradition of its own when it comes to Military Music and Musicians.